How lucky was I to be selected to explore Crete – especially during May, which is such a beautiful time to travel to the island. With its lush greenery and pretty flowers aplenty, the already beautiful isle’s charm, culture, history and vibrancy is without a doubt added to. Crete is the most southern Greek island and has the massive benefit of being blessed, pretty much year-round, with sunshine and good weather – which is perfect for us sun-worshipers. However, if you want to take advantage of dining alfresco in the fabulous local tavernas once the sun is fading then you’ll definitely need a jacket or top (or you could even pop into one of the local markets to get yourself a scarf or shawl to throw over your shoulders – any excuse for a bit of shopping!). As the largest of the Greek islands you could almost say it is like a little country of its own. 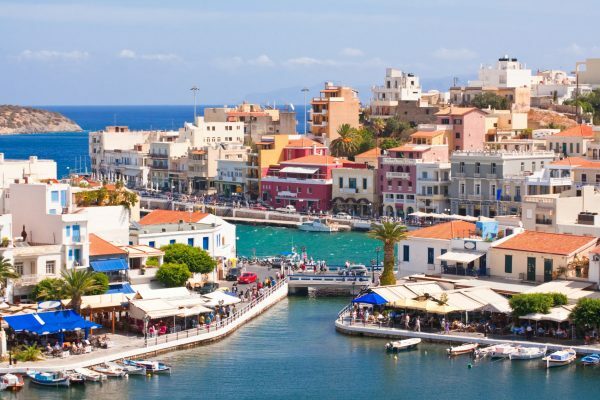 Because of this, there are two airports you can travel to in Crete – Heraklion, the capital which serves the centre and east of the island, and Chania which serves the west. Once we arrived at Heraklion airport we took a half hour drive to Agia Pelagia to visit the nearby seafront that’s full of sunbeds and umbrellas, as well as a good selection of restaurants to choose from. Villa Reed is located in Agia Pelagia and perfect if you’re looking for luxury in a secluded area. The exterior of this property most definitely meets the luxury standard of inside, offering a jacuzzi, infinity pool, outdoor shower, sun loungers, a dining area with a cooking area with a sink and gas barbecue. You’ll find plenty to keep you busy in Crete. History buffs will enjoy a visit to the Palace of Knossos, and the Heraklion Archaeological Museum, while those seeking the sun can soak up the rays along the island’s many sandy beaches. Outdoorsy types can hike to their heart’s content at Samaria Gorge in Chania, and shopaholics will love the boutique-lined boulevards of Agios Nikolaos. Of course, to reach all of these sites, car rental is highly recommended, as local transport is a bit haphazard! There are some great wineries on the island that offer very reasonable tours and tastings – and as food lovers, sampling the local food and wine was an absolute highlight! We really enjoyed trying all of the local dishes, from the fresh salads with Greek cheese to the Souvlaki. 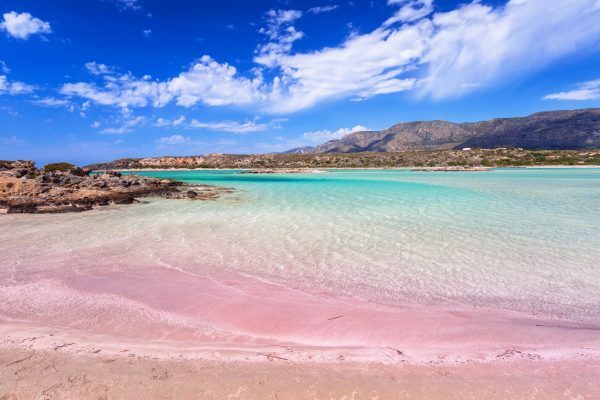 Crete is renowned for its fantastic beaches, including the Elafonissi beach on the south western peninsula, which actually has a pale pink tinge to the sand! Rethymnon is worth a mention, as a colourful coastal town with great nightlife and definitely worth a day of exploring. You can easily spend a day here just wandering through the alleyways and cobbled streets, snapping photos at each and every colourful building – and if history is your thing then Rethymnon is filled with ancient ruins. Or, you can just promenade along the harbour and pick from the wonderful choice of restaurants to eat at. We have a selection of villas in this resort, my favourite being Villa Avra. This is due to its ideal location, offering dramatic views of the Aegean Sea and walking distance to the beach, shops, restaurants and bars. I also enjoyed visiting Chania (which is on the west of the island) with its hustle and bustle throughout the town; from the restaurants along the seafront to the indoor and outdoor markets. There are also many beautiful buildings around Chania, with plenty of photo opportunities as well as shopping. 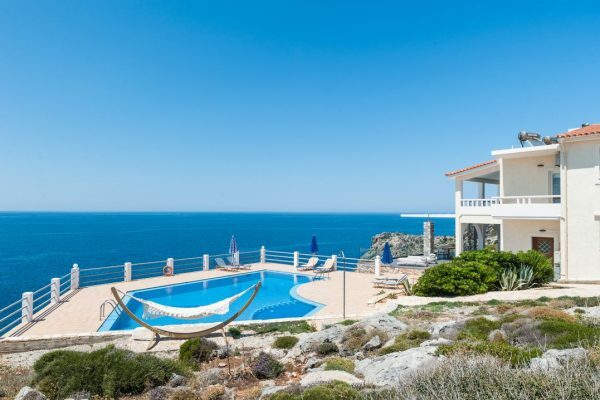 With so many private holiday villas on our website based in Crete, I made sure I had the opportunity to visit as many as possible – with my favourite being Villa Penelope thanks to its amazing sea views. 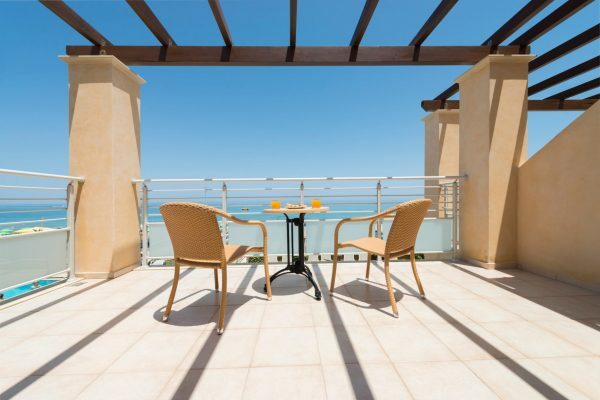 Crete truly has something for everyone – families are welcome with open arms and everywhere is child-friendly. If you’re looking for a secluded spot, I wouldn’t know where to start to recommend – there are so many options! Or if you’re looking for good nightlife – whether that be a local characterful taverna or a sleek sophisticated bar – nearly all of the resorts offer both. 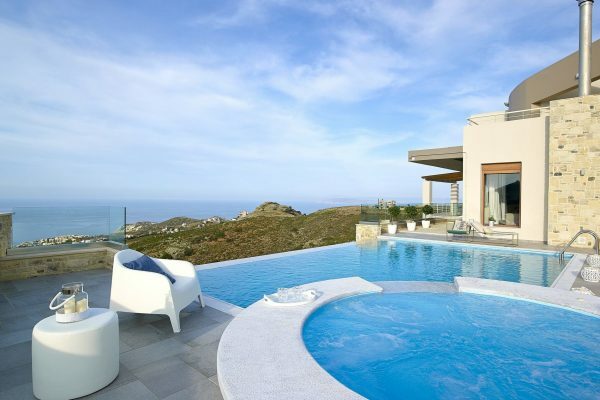 If you’re interested in taking a look at the perfect private villa for your travel to Crete, discover our selection of villas online or call our Villa Specialists for a bespoke quote.